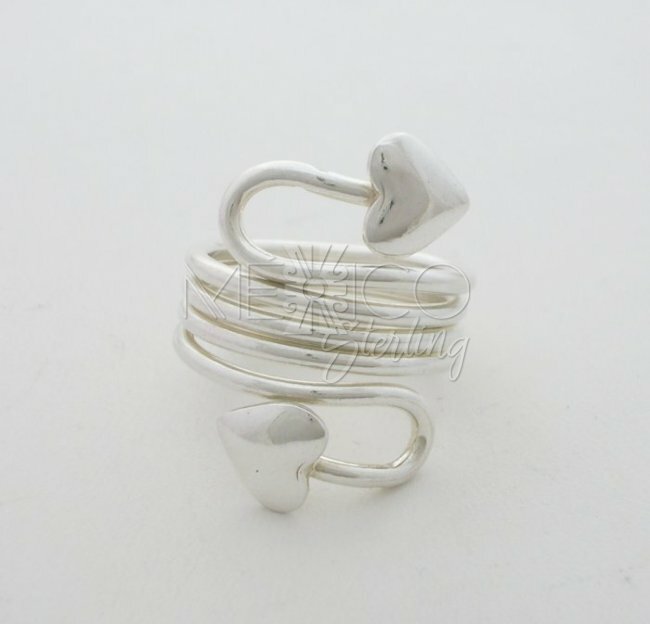 Charming Taxco Sterling Silver Hearts Ring [RNG2695] - $42.00 : Mexico Sterling Silver Jewelry, Proundly from Mexico to the world. 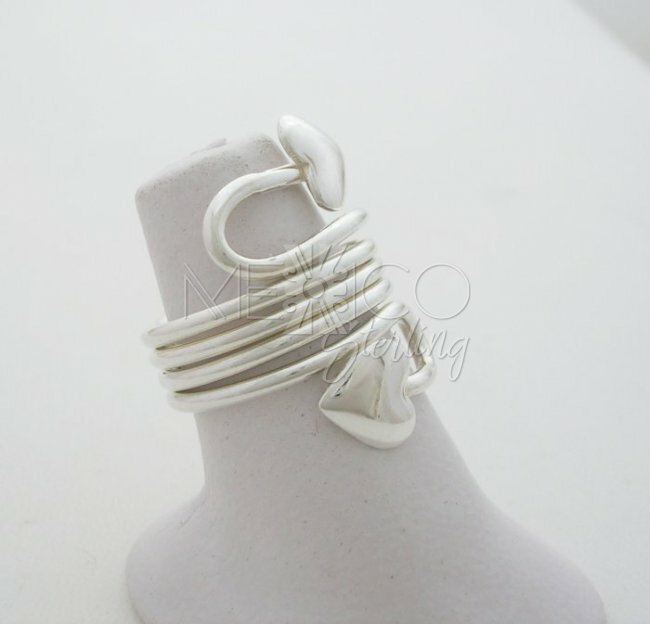 Wonderful and very charming silver ring that shows a clever design. 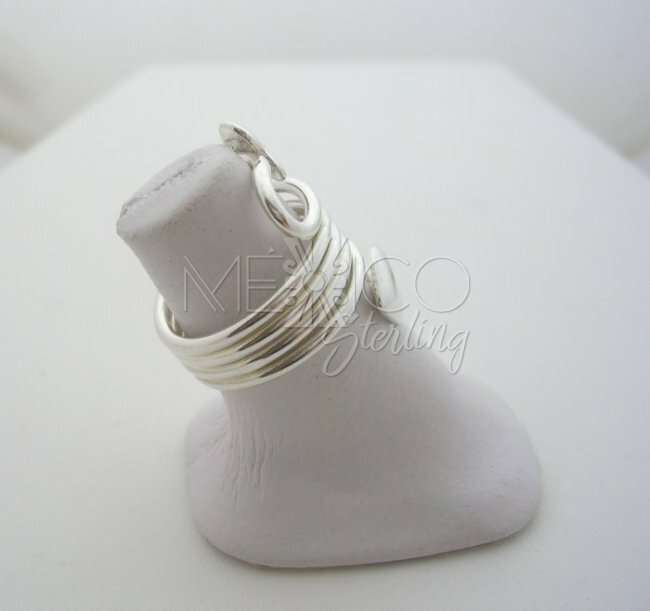 It's a modern piece of jewelry that will serve as a gorgeous ornament for any lady out there that loves sterling silver jewelry. 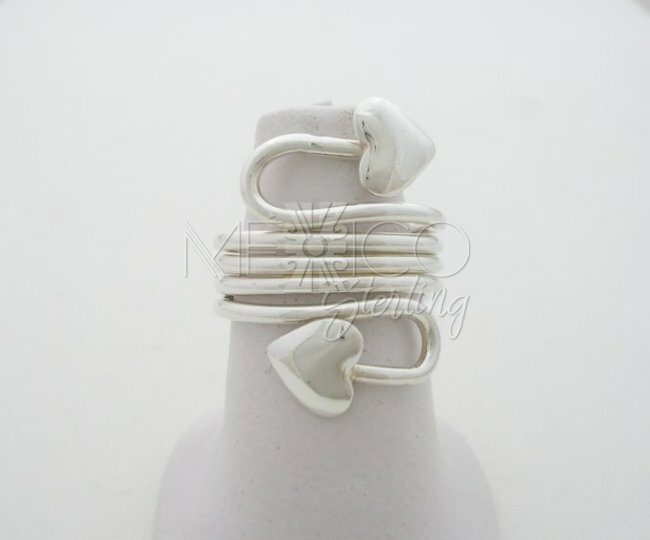 This Mexican silver ring shows two hearts at the centerpiece. 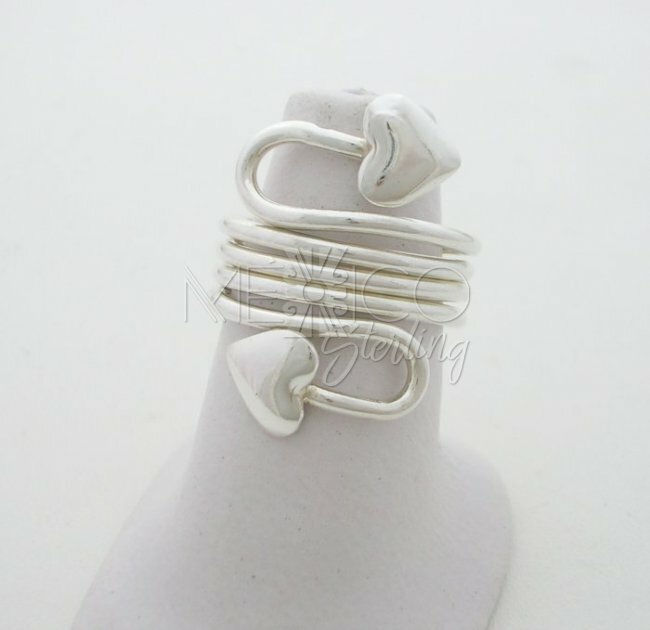 The heart figures are at the end of a long twisted tail that goes around your finger. 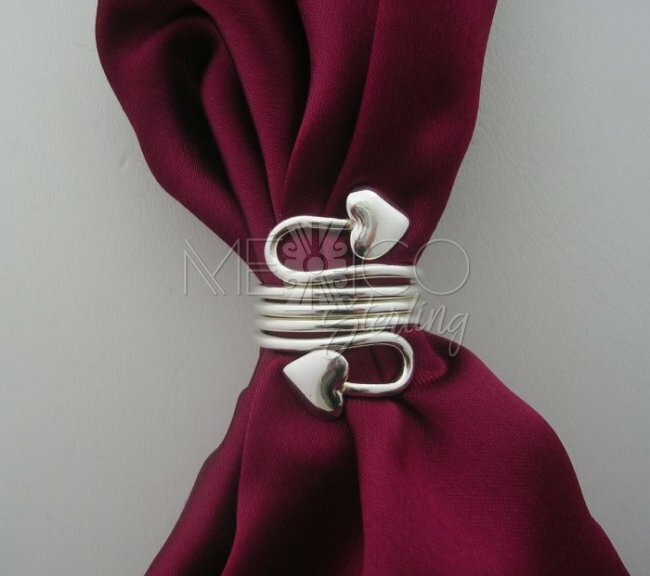 It's a simple and modest composition that involves a charming and well known figure and a symbol for love. 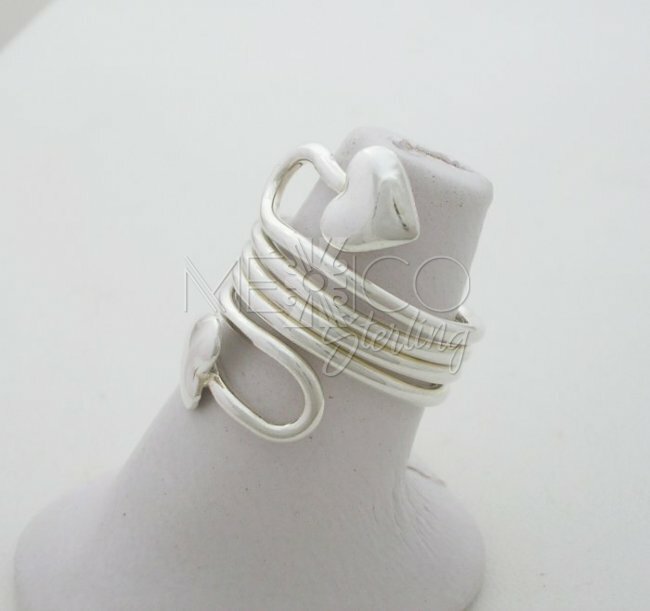 These features are enough to make this charming ring very attractive to the eye. 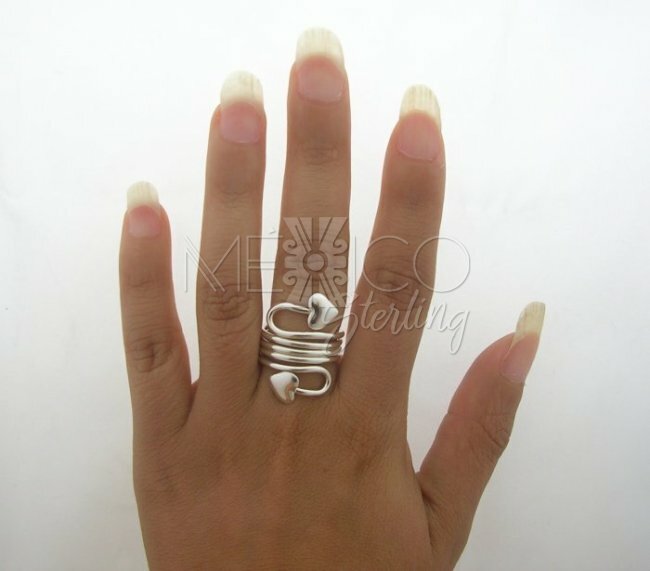 The ring is available in size 6, 6 1/2 and 7 1/2.